Keel Block. Our three graving docks help to ensure an efficient and quick turn around. Year-round warm weather, skilled craftsmen dedicated to your needs, and an extensive local network of marine subcontractors combine to create the ideal environment for your next ship repair or conversion project. 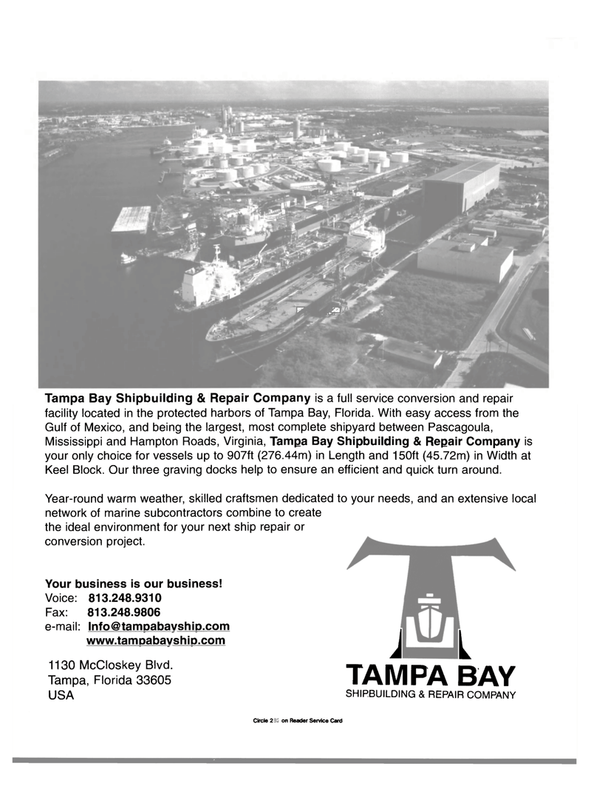 Fax: 813.248.9806 e-mail: lnfo@tampabayship.com www.tampabayship.com 1130 McCloskey Blvd.